The Bossier Arts Council is thrilled to announce its Summer Saturday Speaker Series hosted by the Gallery Fine Art Center, featuring, Alexander Mikaberidze on Saturday, Aug. 31, 2013, from 2-4 p.m.
Dr. Mikaberidze will be speaking on the significance of the colors red and blue in 18th century France during the time of revolution. Born in the Soviet Kazakhstan, Dr. Mikaberidze grew up in the newly independent Republic of Georgia. He holds an advanced degree in international law from Tbilisi State University (Republic of Georgia, 1999) and worked as an international law expert at the Ministry of Foreign Affairs of Georgia (1996-2000), where he handled the human rights issues and relations with the Council of Europe. He is the general editor of the Selected Papers of the Consortium on Revolutionary Era, as well as editor-in-chief of the periodical The Napoleonic Scholarship. He has been awarded the International Napoleonic Society’s Legion of Merit Medal and La Renaissance Française’s Médaille d’or du Rayonnement Culturel for his contributions to the Napoleonic studies. He joined LSUS in 2007 and was chosen by students as one of Top 20 Professors in 2009. So you have an artist statement, biography, resume, and images of your work, now what? It’s time to look for a Gallery. This very simple class will cover the basic of setting up a solid gallery submission. We’ll cover the do’s and don’ts of this intimidating process. Did you know you could take a payment from your smart phone? Well you can!! 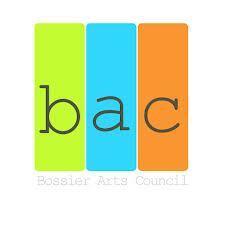 BAC’s Comptroller Steven Belk will teach you to turn your phone into a mobile cash register. In two hours you will be ready to make a sale! !